Duck! Rabbit! 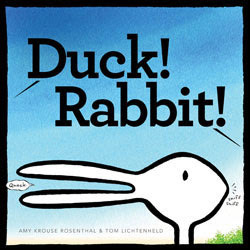 by Amy Krouse Rosenthal and Tom Lichtenheld is a picture book that uses an optical illusion (do you see a duck or a rabbit in this drawing?) to full comic effect. Roo thinks it's hi-la-ri-ous and I must agree. 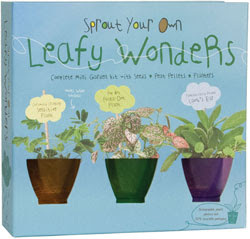 Sprout Your Own Sweet Scents and Sprout Your Own Leafy Wonders are well-designed kits for the budding horticulturist, complete with tiny pots, peat moss, seeds and how-to book and journal. 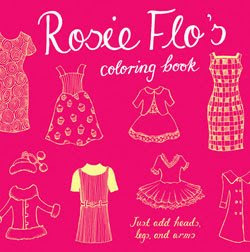 Rosie Flo's Coloring Book by Roz Streeten are fantastic because they're less about coloring and more about drawing and using your own imagination. Streeten creates intricate outfits and scenarios but leaves most of it up to the kids to figure out. Click here to download pages to try out yourself! 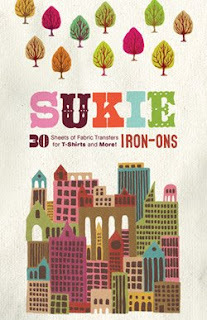 Sukie Iron-Ons is a 30-page book of gorgeous color illustrations from British design duo Sukie. Whimsical cityscapes and charming forest creatures abound. Use these to create one-of-a-kind gifts! 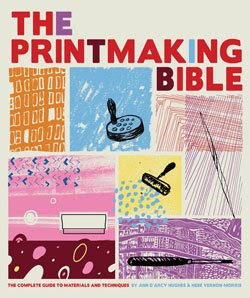 And finally, The Printmaking Bible: The Complete Guide to Printing Materials and Techniques by Ann d'Arcy Hughes and Hebe Vernon-Morris. I always regret not taking more printmaking classes in college but this comprehensive up-to-date manual makes me feel a little better. It's a weight volume of more than 400 pages packed with 1,000 full-color photos and illustrations giving comprehensive instructions, troubleshooting tips and even a resource list. Really a tremendous library addition for any creative person… and a perfect Mother's Day gift for crafty mamas! The book of iron-ons is really cool! I want to make Mona some days of the week undies! All these crafty ideas floating around in my head, if I could just actually do some of them! The Printmaking Bible sounds so cool! Printmaking is my one weak point when it comes to artmaking. I just never got around to buying that $3000 press.